In the early 1940s, RKO assembled a B-horror movie unit with the remit of challenging the dominance of Universal’s horror franchise. Headed by former David O Selznick protégé Val Lewton, all were made on a shoestring budget with the intention of delivering the audience demand for thrills, with more psychologically complex treatment of the uncanny. The series of films made between 1942 and 1946 managed to be both hugely profitable for the studio and visually audacious, startling explorations of the human psyche. 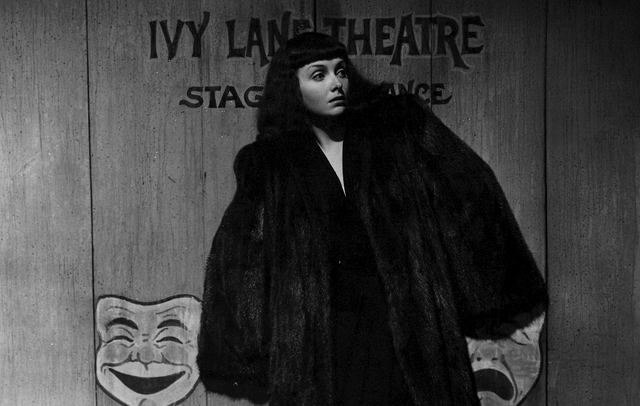 The Seventh Victim is, on the surface, an intense, set-piece driven chiller about a teenager (a debutant Kim Hunter; Oscar winner for A Streetcar Named Desire) searching a shadowy Greenwich Village, New York to find her missing sister, who may have become involved with a sinister cabal of devil worshippers. Hiding just beneath the surface is a film that radically discusses themes of rigid social repression and suicide, with an overt suggestion of a lesbian relationship that was extremely rare for 1940s Hollywood. Its gut-punch ending remains one of the most shocking of the era. This screening will be delivered courtesy of a 35mm archive print sourced from the British Film Institute. This screening will be introduced by Dr Chloé Germaine Buckley from MMU and Manchester Centre for Gothic Studies.